The inside door handle on the driver side of my Accord 2003 does not operate the door mechanism anymore. I had to get out on the passenger side today. I can open the door from outside but not from inside. I am going to open the darn thing and look inside to see what's is broken. 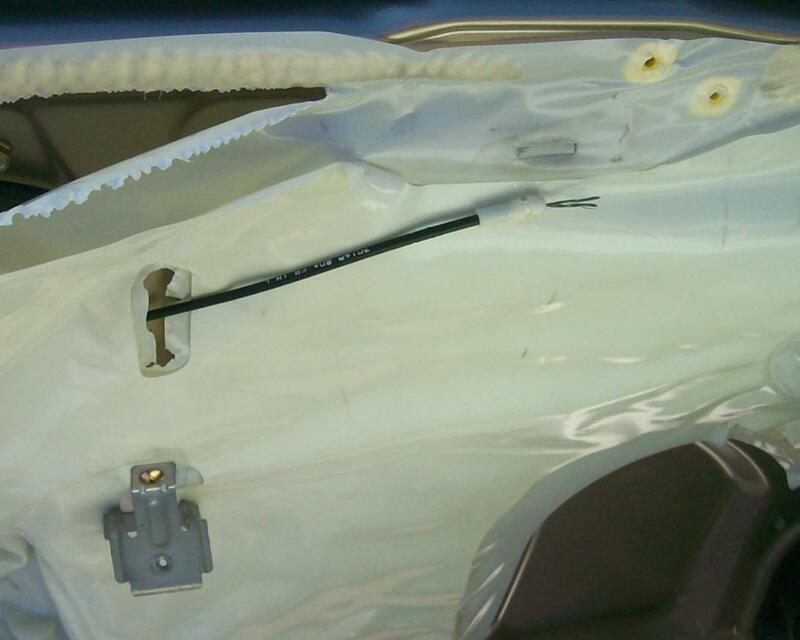 Anyr instructions/tips to remove the front door panel of a 2003 Honda accord? I searched the forum and only found instructions for a 2000 rear door. OK well I found out how to remove the door panel. Very easy actually. Now I can see that the door handle cable is broken. Pretty good; thanks for telling us the result. How'd you fix it? Maybe that'll help others who run into this in the future. I used a thin metal wire that I crimped on the original cable. The first pic shows where the cable broke. 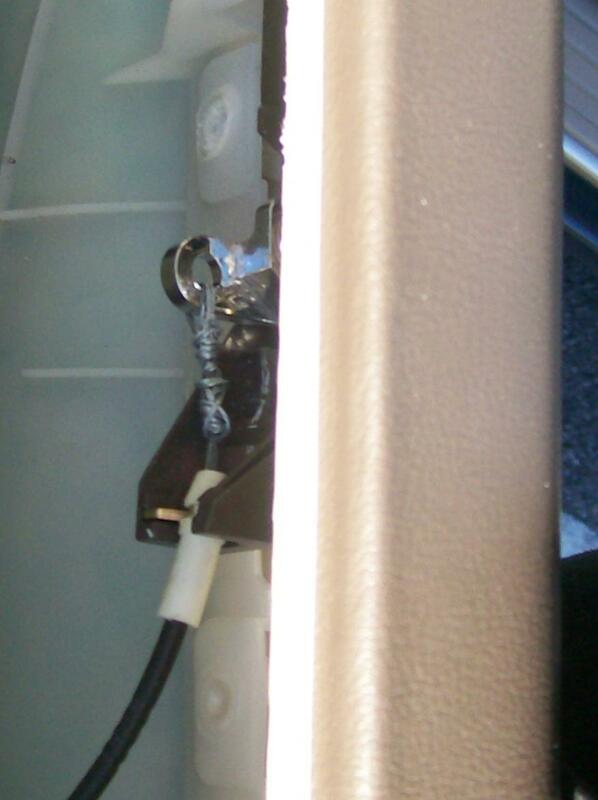 The second pic shows the repair I made by crimping the metal wire and attaching it to the back of the door handle. well done! a nice DIY solution without incurring the cost of a new cable. Thanks; I'll move this to the DIY section. So glad I found this forum and thread. Earlier this week my door handle did the same thing. I went to get out of my car and felt something inside the door release or snap and I couldn't open the door. Had to roll down the window, reach out and open the door, then put the window back up. Anyways, I just fixed the problem. Only my cable didn't actually snap, it just somehow became unhitched from the handle mechanism. I pushed the end of the cable back into the mechanism then wrestled with the door panel to get it back on, but all is fixed. Took less than an hour. I am going to have to try this when I get home, same thing: 2003 Honda Accord Drivers Side Door.....it sounded like it either snapped or disconnected. I really don't feel like going Dukes of Hazzard while entering and exiting my vehicle.